It’s finally Friday again, and we’ve got another double giveaway for you! But first, congratulations to Monika Schroder, who’s won a copy of The Maypop Kidnapping and The Midnight War of Mateo Martinez. Monika, send your address to publicity@lernerbooks.com and we’ll get your book in the mail. In honor of Women’s History Month, we’re giving away two YA nonfiction titles guaranteed to fly off the shelves of your library: Reproductive Rights by Vicki Oransky Wittenstein and Feminism by Nadia Abushanab Higgins. While most people believe in equal rights, the word feminism—America’s new F-word—makes people uncomfortable. Explore the history of US feminism and learn from modern leaders what it means to be a feminist—and why some criticize it. 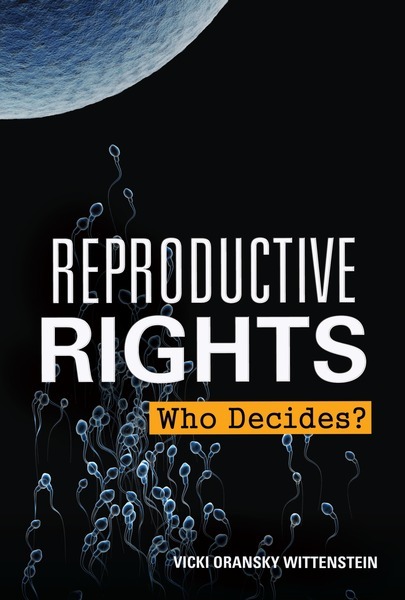 Examine reproductive rights through a historical lens, from early history’s methods for family planning to the introduction of the Pill in the 1960s and the Roe v Wade decision of the 1970s, to contemporary legal and societal battlegrounds. I love that selections like these books are available! What a great feature! Thanks for the opportunity to win some great books!